Discover a true American paradise among the breezy island lifestyle and lush green palms of Key West. Find affordable timeshare resales and rentals at the Hyatt Sunset Harbor Resort today. Located along the calm Gulf shores of Key West, the Hyatt Sunset Harbor Resort provides a tropical getaway unlike any other. Positioned right in the middle of the Old Town area of Key West, you'll find yourself in a classic Floridian resort that enjoys a distinctive design and expert services. From the sprawling outdoor pool to the convenient resort-wide WiFi and on-site parking, you'll have everything you need to create an incredible Key West vacation at the Hyatt Sunset Harbor Resort. Accommodations at the resort range from efficient studios to spacious two bedroom villas. Perfect for couples, families, and other small groups, you'll have extensive homelike accommodations to ensure everyone's complete comfort. 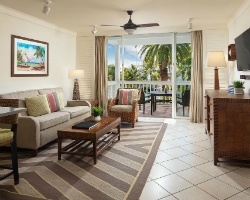 With upscale in-unit amenities like private balconies, full kitchens, spa-style tubs, and more, you are guaranteed to feel right at home in the luxurious suites at the Hyatt Sunset Harbor Key West. 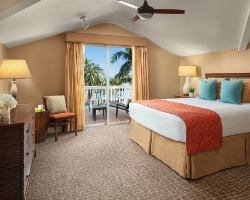 Are you ready to secure your very own accommodations at this desirable Hyatt Key West resort? Fill out the form on this page to learn more about ownership opportunities at the Sunset Harbor, or call a representative at 1-877-815-4227. 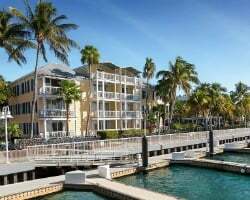 Purchasing a timeshare resale at the Hyatt Sunset Harbor Resort will not only enable you to secure years of great vacations to Key West, but will give you those vacations for thousands less. Resales are provided for sale by current timeshare owners, not the resort itself. As a result, prices for ownership intervals at the resort are often much more affordable. You can find timeshares for sale on the secondary market for prices up to 70% lower than retail costs, which can truly allow you to save big and vacation even bigger. Resales at the resort are typically available in deeded fixed and floating weeks, allowing you to find an ownership interval that matches your vacation preferences. You can also narrow your results by unit size, price point, and more to ensure you won't have to settle for accommodations you don't love. Additionally, a resale at the Sunset Harbor could be your ticket into the Hyatt Residence Club. The Sunset Harbor Resort is affiliated with Hyatt Residence Club, one of the timeshare industry's most sought-after brands. Highly desirable for their acceptance of resale buyers, the Hyatt Residence Club offers a range of exclusive benefits available for you to take advantage of. While you won't be able to exchange Hyatt Gold Passport points for stays at Hyatt hotels, you will be able to choose between Hyatt weeks and Hyatt points based ownership intervals, and you can even exchange your accommodations internally with other Hyatt resorts. Exchanging your timeshare can be an excellent way to maximize the potential of your timeshare resale. The Hyatt Sunset Harbor is affiliated with Interval International, one of the largest timeshare exchange companies in the world. With a separate membership, you can trade in your Key West accommodations for stays at comparable resorts in destinations all over the globe. Furthermore, the Hyatt Sunset Harbor Resort is the recipient of an Interval International Premier Resort rating, noting its above average accommodations and superior on-site amenities. 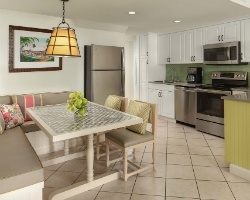 This Hyatt Key West resort comes equipped with a variety of on-site amenities and services that will make your Florida vacation easier and more enjoyable. Start at the outdoor swimming pool or take a dip in the whirlpool spa. Guests can also take advantage of the amenities located at the nearby Hyatt Key West Resort and Spa, which features a complete fitness center, luxurious treatments at the Jala Spa, and impeccable dining at the SHOR American Seafood Grill and Blue Mojito Pool Bar & Grill. Nearby, you'll find all of Old Town's best and most historic attractions available to you. Duval Street is packed with unique shops one-of-a-kind nightlife, while the sunsets at Mallory Square can't be topped. History and literature nuts will love locales like the Ernest Hemingway House and the Harry S. Truman Little White House. If it's the beach you're after, Fort Zachary Taylor Historic State Park has some of the best sands and surf in the area. Already Own at Hyatt Sunset Harbor Resort?